The junior league recently launched at Hurlingham Park in Fulham and following its success, Rocks Lane will now run Friday Night 5s at Ravenscourt Park, Hammersmith from 27thApril and in Balham from September. 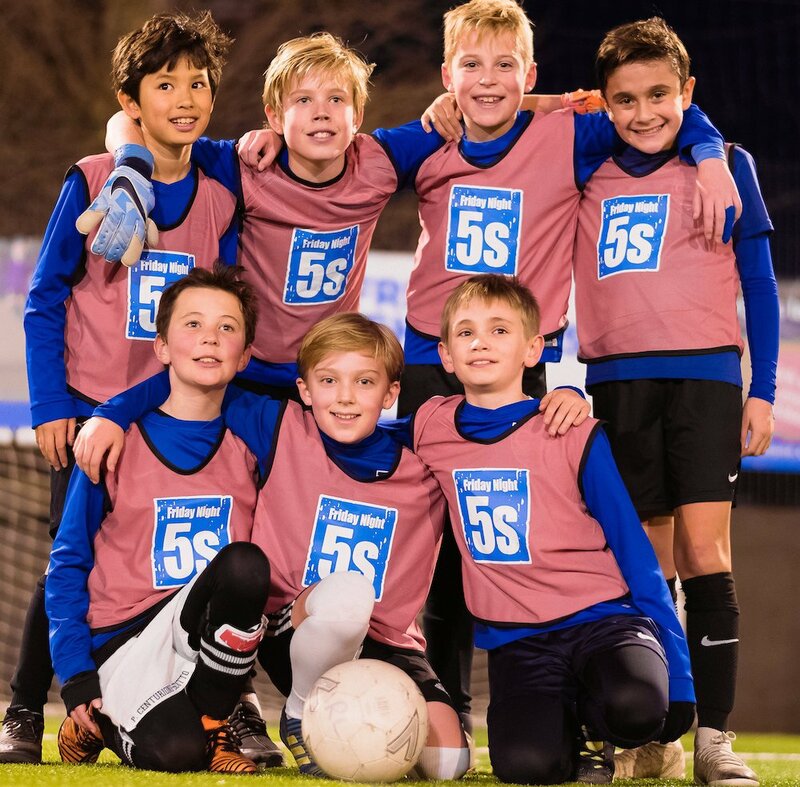 Built on Friendship, Fair Play and Fun – Friday Night 5s junior 5-a-side leagues gives young players a unique opportunity to play competitive football with friends. Unlike school or club sports, Friday Night 5s is incredibly social and lets the children take charge: they create their own squad, pick a team name and can even design their own kit. Fair play is at the heart of the league, with weekly awards given for effort, aiming to boost the confidence of players. In addition, each league can provide a Match Day Management service where a coach can give support to individual teams. After the matches teams can track their progress online – just like a real Premiership team! Friday Night 5s is open to boys and girls in Years 1 -13. Places are limited so now’s the time to get a team together and reserve a place in next term’s league.